Photo by analogue_spirit on Instagram. Saigon. Photo by quanngo01 on Instagram. In an old apartment complex in Hanoi. Photo by longdzin on Instagram. Photo by foxbeta_photo on Instagram. Fishermen working in Phuoc Hai Village, Ba Ria-Vung Tau. Photo by trongtin131 on instagram. Ha Tinh Province. Photo by twunn_ on Instagram. 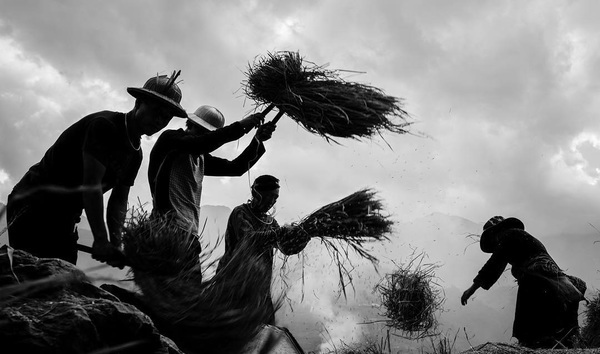 Having everyone beating the rice like drums creates an interesting rhythm in the way people harvest rice in the mountains of north Vietnam. Ta Van, Hoang Lien Son. Photo by picsofasia on Instagram. Hanoi. Photo by nguyenduong1991 on Instagram. Dai The Gioi Park, in Cho Lon, District 5, Saigon. Photo by andy.ip on Instagram. 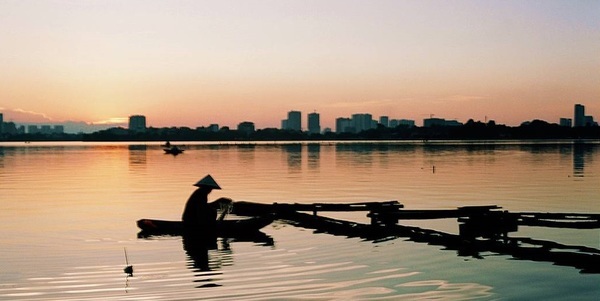 West Lake, Hanoi. Photo by phongsmonologues on Instagram.